I am a proud CES attendee since 2010. Every year between late December and early January my mind flitters to thoughts of Vegas and CES. Depending on how depressing the weather has been or how much fun we have had determines whether I dwell for a longer or shorter period of time! Part of this comes from the fact that I still thank my lucky stars for the fact I can travel to Las Vegas, stay in amazing hotels, see so much and do so much as part of my job. I have a persistent gratefulness for the opportunity, same goes for Cannes and all the other events I attend. We are a fortunate group. On top of that though, is still the feeling of excitement that I got the first year I attended as part of the VivaKi Nerve Center, part of the Curt Hecht, Sean Kegelman, Kurt Unkel crew. I had just left a very depressing role in a depressing company and had the chance, in fact was positively encouraged to come to Vegas, embrace CES and learn everything I could. That first year was an amazing year and we had a great time, That feeling has never left me. When I hear or read people saying ‘ Oh no, I am not going to CES, that would be the last thing on earth I would choose to do’ I always think the same – Oh come on! followed by the thought that they were not invited or you are not doing CES right. CES is a massive opportunity to learn. Over the years I have written about my experiences – this one in 2013 on TV Measurement or in 2014 I wrote about the fact that data capture and usage was getting out of hand with my post about ‘Just because you can, does not mean you should. Also in 2014 I wrote about the in car tech that was flooding the conference. It was the first time that car manufacturers started to appear in droves. That post called ‘The one piece of tech you cant fit in your pocket.’ Featured in M&M. In 2015 I wrote for the Drum about how advertising feels like it is becoming out paced by technology and hardware driving consumer choices, like the fridge that orders for you and therefore could choose the contents for you. It turns out that Alexa and Dash buttons have taken that role! You get the idea, this show is FULL of fascinating trends, companies, hardware and you can soak it all up, you can learn from it and you can bring it back to base. If you dont attend these shows everything you hear is 18th hand, you hear it from some guy, who was sent it by another person, which was released by their marketing team. You see and hear things you would never expect to and you become a more knowledgeable person for it. People often ask me one of my biggest lessons I have learned from someone and I always reference Curt Hecht who once said to me, if you dont go to these events but work in a company like the Vivaki Nerve Center which is meant to be future facing, then you are no different to the local digital guy from London who heard it all from their Google, Facebook, Twitter rep. Advertisers want to meet people who have just met Apple at their HQ or spent time with a product manager in Palo Alto. He wanted us to go off and learn, I loved that, because at the time the prevailing sentiment was that going to these things was just a jolly and a waste of time. They can be, if you dont do anything with them. This year is my second with Spotify. The first year was my first week at the company! You can imagine that was a little crazy, this year I am so excited to be part of this amazing crew and we have a great set up in the C-Space that is designed to help people like me of the past to come and learn something about culture, how we fit into culture, how we use data and understand people through music. We will talk about how voice enabled devices and connected hardware are impacting our lives and where Spotify will fit in that, it is fascinating what’s going on right now and CES has never been more relevant and informative as hardware powered by data and AI is changing our day to day, I hope those who come to the C-Space will walk away having learned a little more. As someone who works for a specific company, I dont get to see all the interesting behind the scenes stuff I used to on the agency side, I see and learn different things now about advertiser businesses, agency businesses, our own hardware partners etc, so for those who genuinely do have a choice as to whether or not to come and chose not to, dont make the same mistake again. CES is the most relevant conference for our industry and understanding culture, you just have to know where to look. If you want to come see Spotify, let me know, it is a pretty cool story! Youtube ADEX closure – Is the future a closed ecosystem? Originally written for Digiday – link here . I have watched with interest the backlash against the Google decision to pull its YouTube inventory back from DoubleClick Ad Exchange. It got me thinking about the past and the present and the fact that there is this view that all companies must make everything equal to everyone. Google has disabled something that represented 5 percent of its total YouTube sales — is that really worth all the fuss? While it is an issue insofar as many businesses are built on the back of disruption and filling niches and a multitude of other business models, Google has no obligation to make life easy for them. Indeed, Google is not alone. Facebook locked everything up; Amazon would rather shut sales down that let you get hold of its data; AOL, Yahoo and others hold all their best inventory back so you can only buy it through their platforms. Welcome to the future. These companies have invested billions into their product, and they have no obligation to make other competitive businesses rich on the back of their investments. It is called competitive advantage. Holding on to the Google debate a little longer, five years ago it had a poor ad server and limited display business. It was seemingly going backwards in terms of innovation outside of search and video. And then a few things happened: Some smart people made some smart decisions. Google bought companies, it invested in their stack, it invested in data, and before you knew it, it was dominating display. It did the same in video, so if it chooses to limit the access to just three entry points from four, then that is Google’s business. If AOL, after investing in content, tech and data, wants to only allow access to the best of what they have via its platform, that is its prerogative. It was only five or six years ago that we were all forced to work like this. If you wanted inventory from The Telegraph, you rang up The Telegraph, likewise Guardian, ITV and so on. 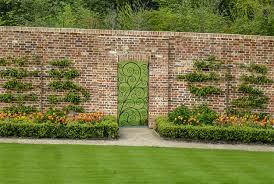 We were forced to deal with hundreds of walled gardens. We have improved the situation with technology, so now we have many fewer entry points to inventory, but when we started down this road no one ever said everyone had to sign up to this new way of working, the deal was that we could buy inventory through platforms and use data — not — be able to access all inventory through any platform. As an example, AppNexus is the self-proclaimed independent solution outside of Google. It is doing well. But should Google then help AppNexus or worry about whether it can get access to YouTube inventory via AdX? Of course not. The same would go for many other demand-side platforms that would issue complaints on the topic. Now, as a buyer, we would prefer to see an ecosystem where we can access whatever we want from wherever we want. And we do rally against the approaches of Google, Facebook and Amazon. But at the same time, we have options. We can work around most of this, and we will create solutions that help us navigate and deliver against the utopia we were once searching for. That said, this is business. This is about companies investing and then looking to make returns off the back of it. YouTube is not the BBC, and it can decide how you buy its content.